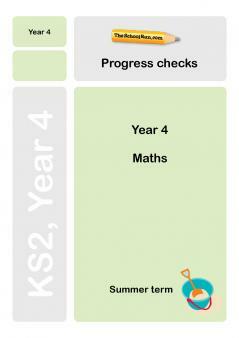 Want to know what subjects will be the focus in maths lessons in Year 4? Find a detailed breakdown here. As with reading and writing, by Year 4 most children have a good grasp of the basic maths skills and their mental maths recall is becoming more automatic. It’s important by now that the children have a good knowledge of their times tables up to ten. The children will be starting to develop their own ideas of how to solve maths problems, and how to check that their calculations are correct. Calculators may be introduced in this year, and your teacher will show the children how to use them correctly. Maths is still taught daily through a mix of oral, practical and written work, and the children are given plenty of opportunities to see how maths links to other areas of the curriculum, and real-life situations. Fractions, decimals, basic geometry... maths becomes more challenging in Year 4. 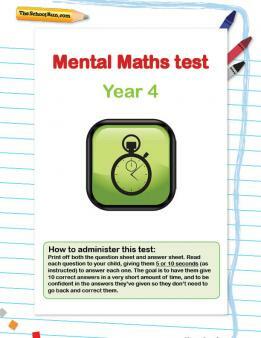 Help your child build on what they're learning at school and check that they understand the foundations of the new things they're learning with Year 4 maths worksheets (you can also search for fractions worksheets and decimals worksheets specifically or try the Y4 mental maths mini-test). Check your Y4 child's progress in maths with our free Y4 maths Progress checks, three mini-tests for the autumn, spring and summer terms.